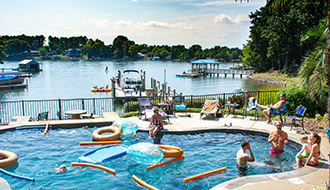 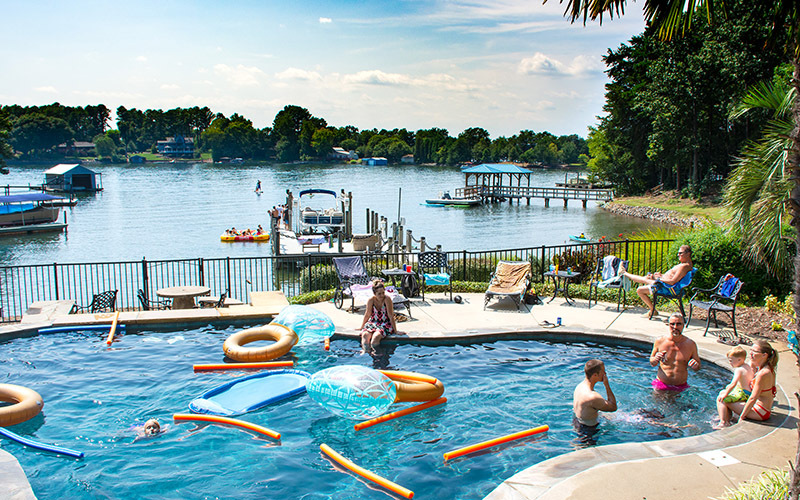 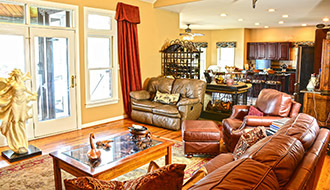 With its luxury features inside and resort-like grounds lakeside, The landing will create wonderful vacation memories! 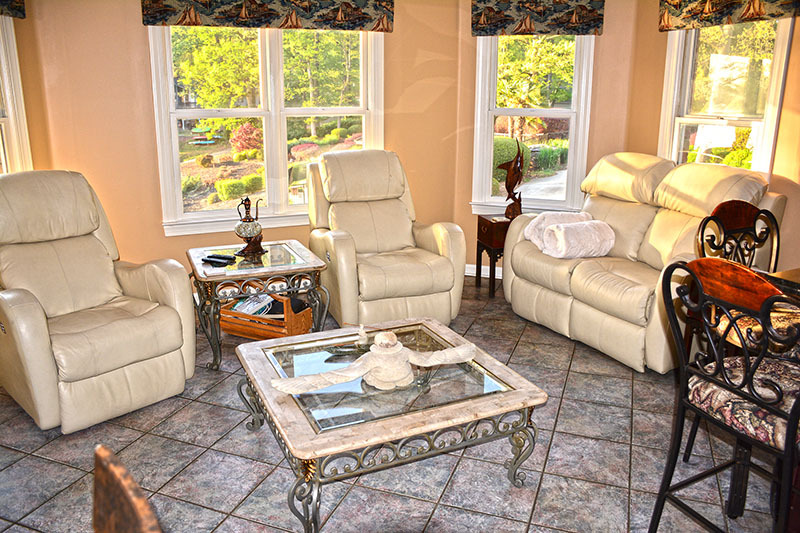 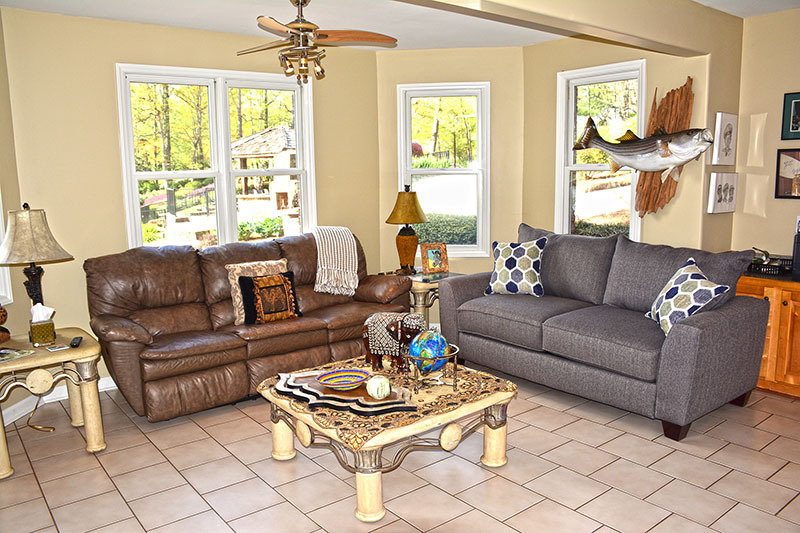 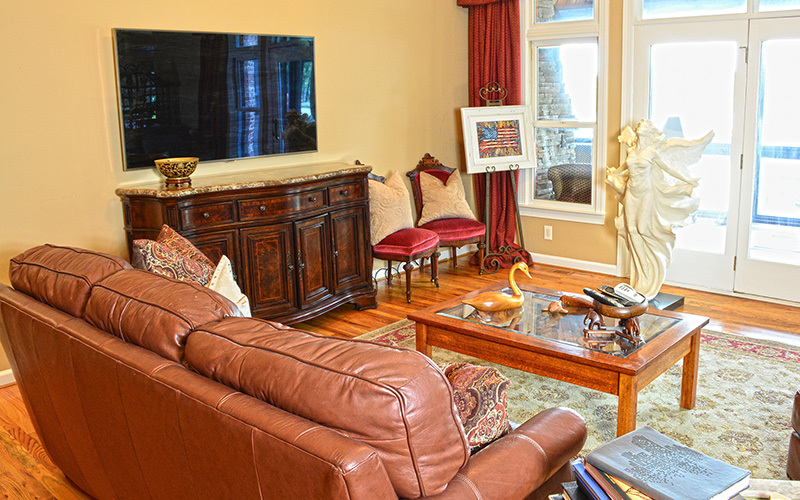 Inside The Landing’s living areas are decorated with wonderful artwork and include comfortable gathering spaces with multiple TV’s, lake views and even electric lounge chairs. 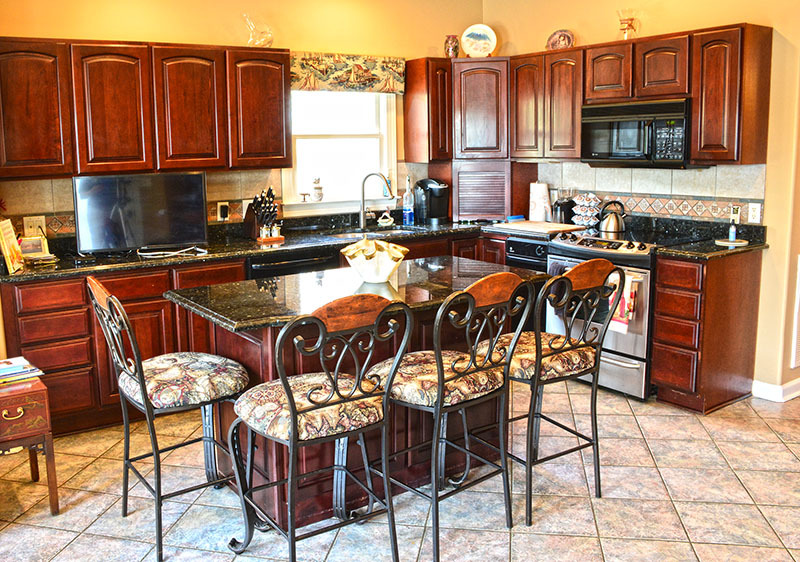 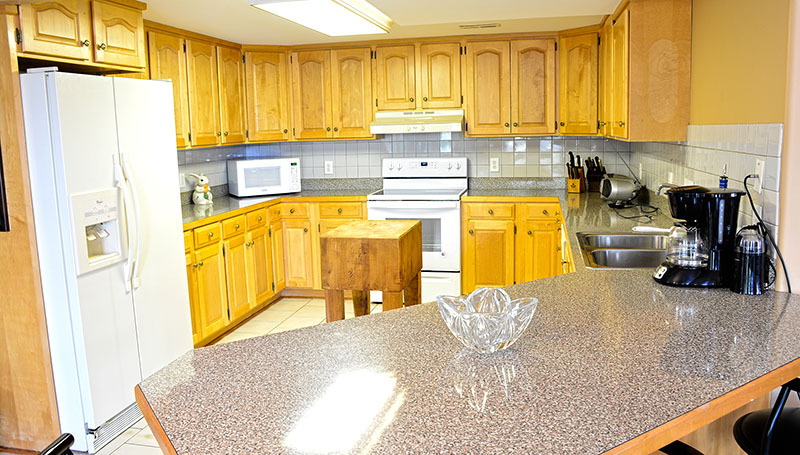 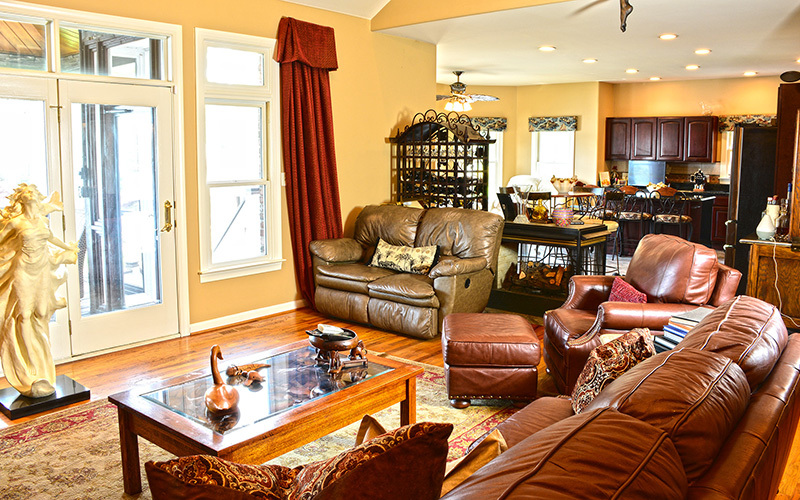 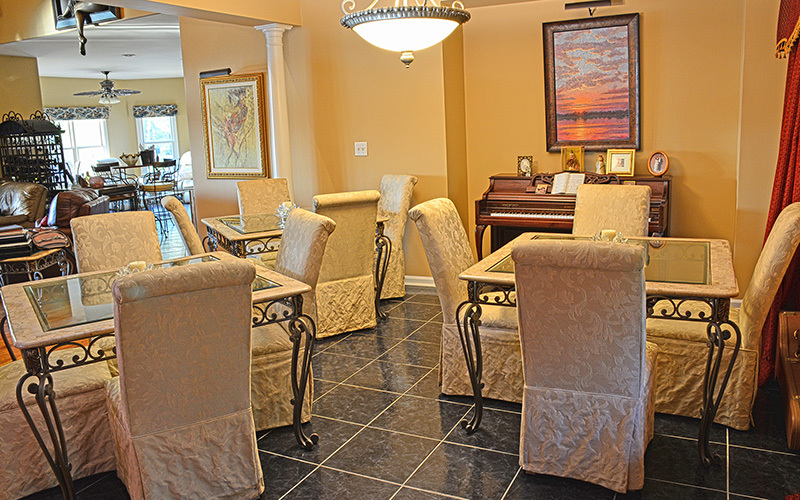 Both floors include fully appointed kitchens and dining areas with plenty of seating for your entire family. 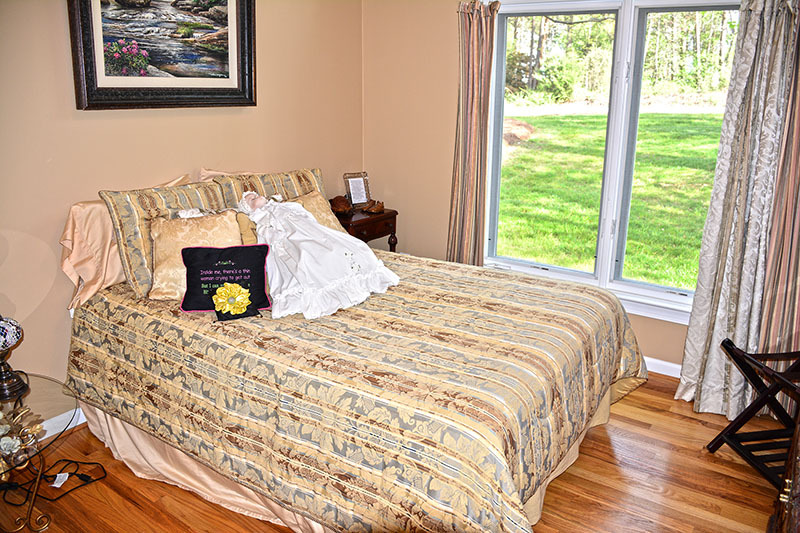 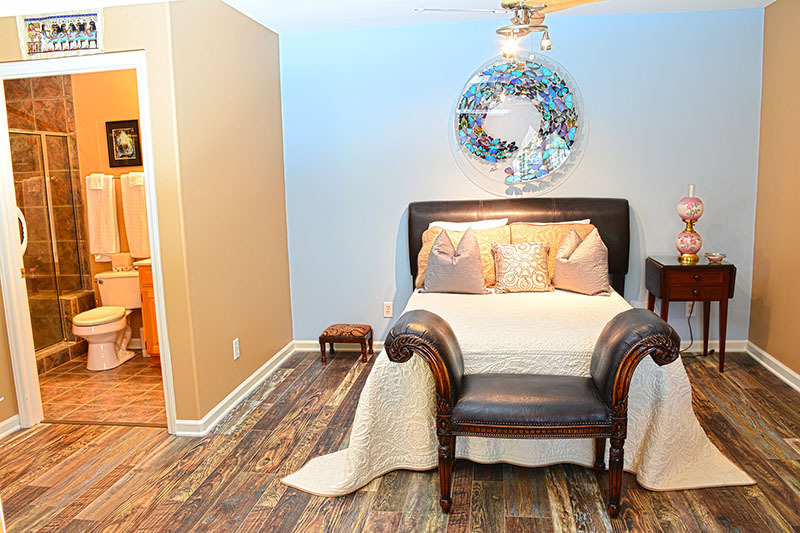 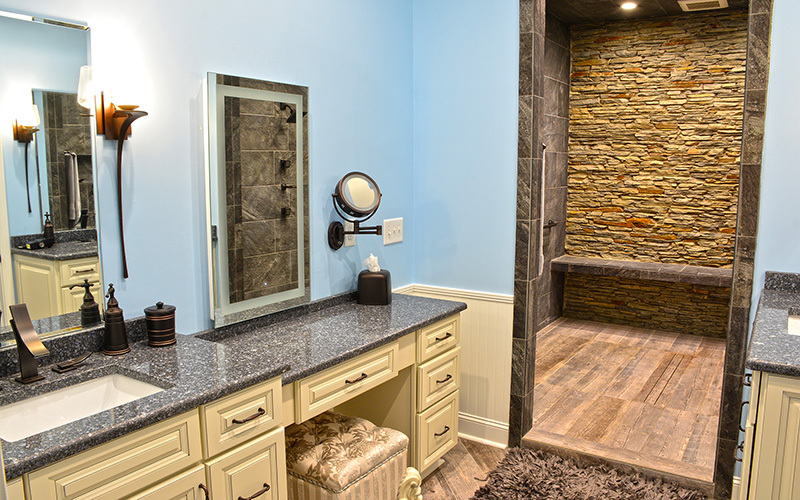 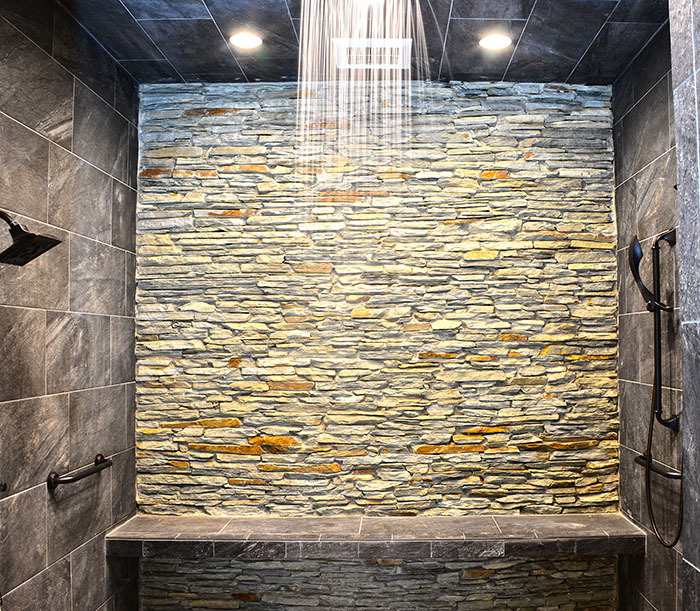 The master suite features a custom one-of-a-kind walk-in shower with multiple body sprays and even a rain setting. 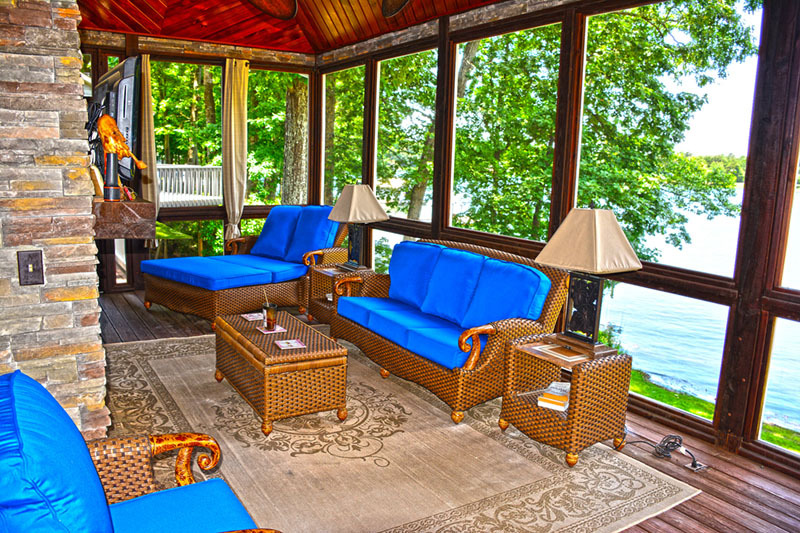 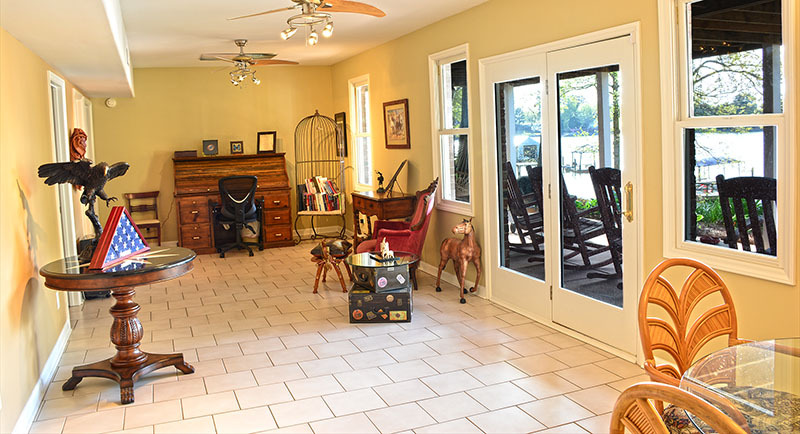 The home features a large screened-in porch with plenty of seating and a great view of the lake and the picturesque grounds. 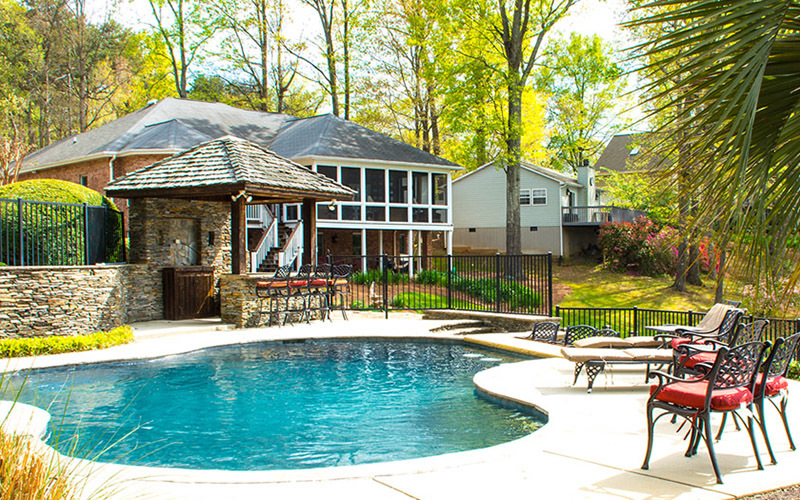 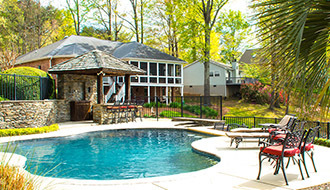 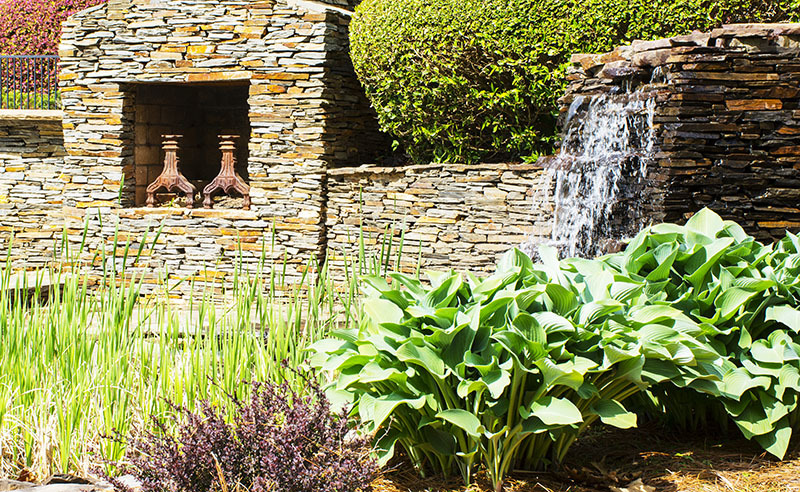 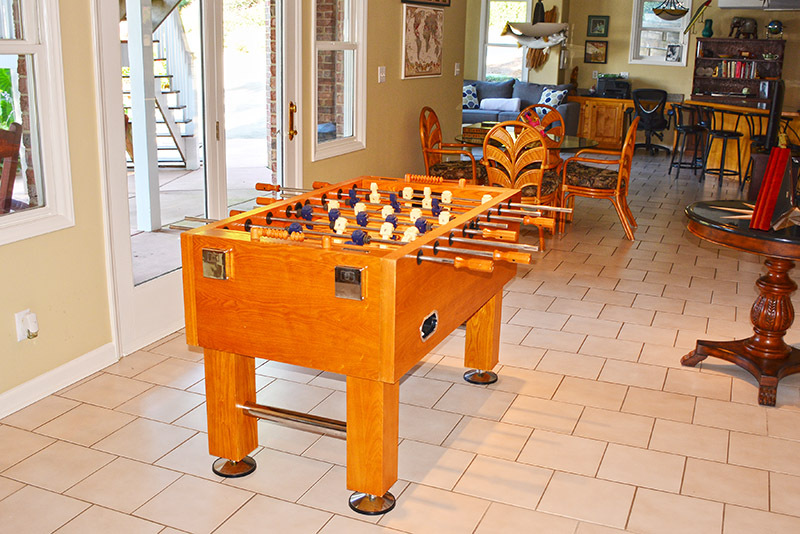 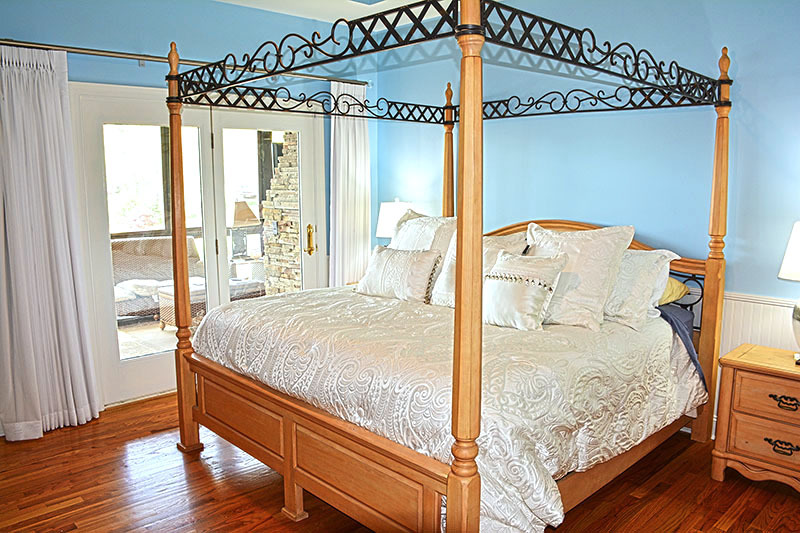 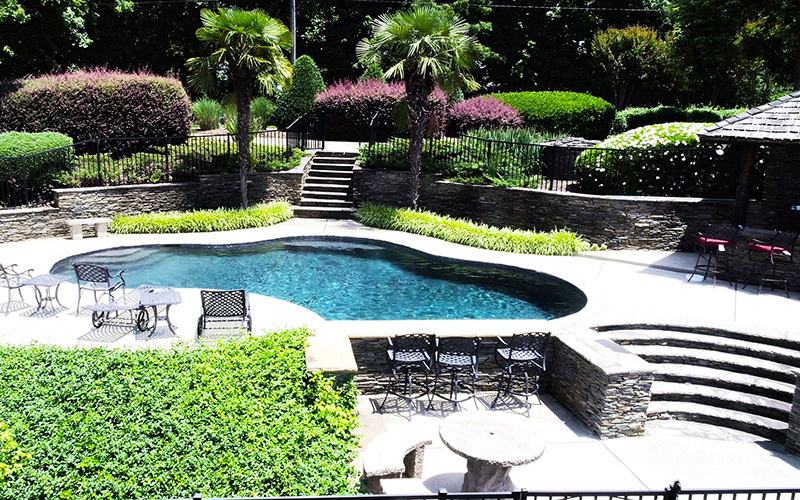 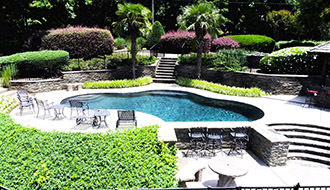 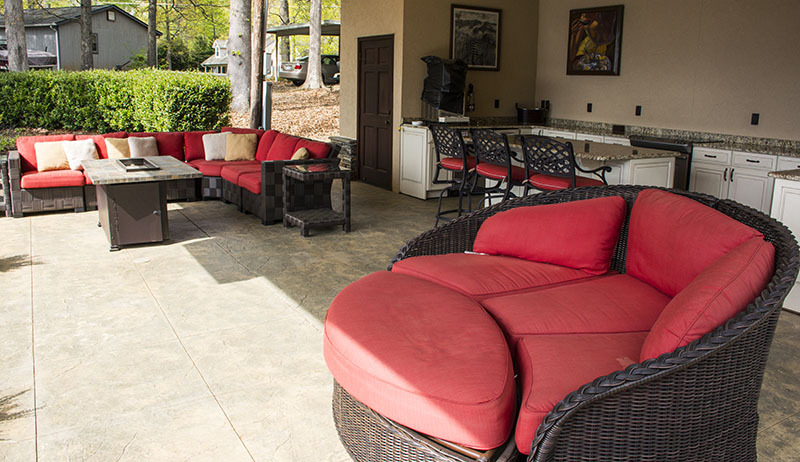 This home is owned by a North Carolina real estate broker. 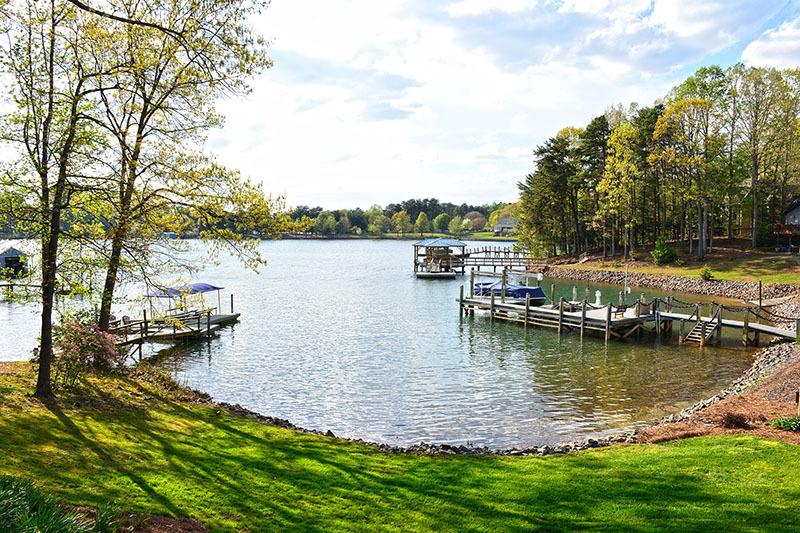 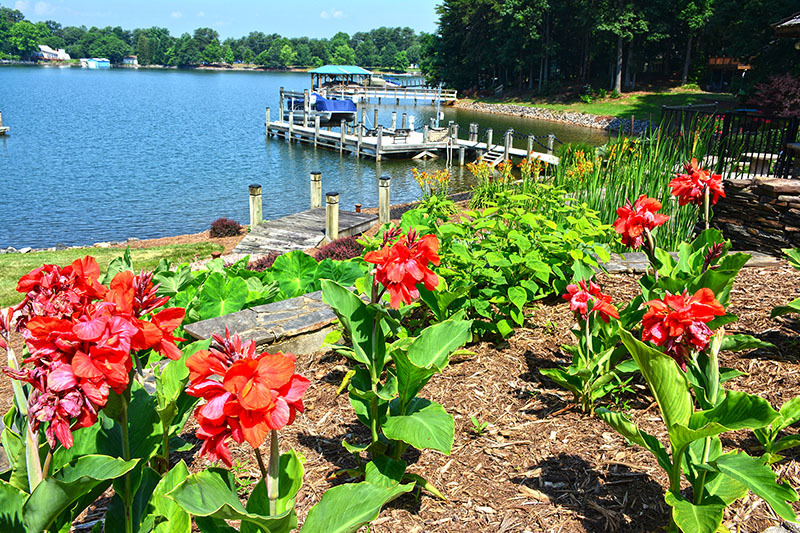 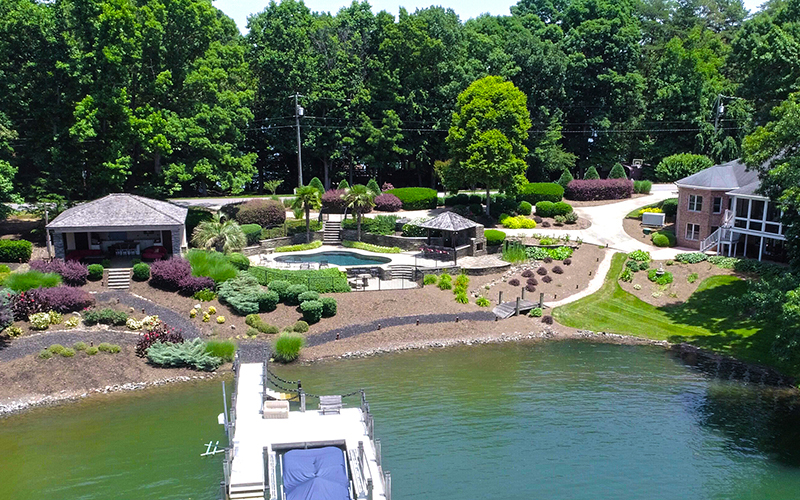 The Landing is a custom built home located on a beautiful Lake Norman cove that offers magnificent sunset views. 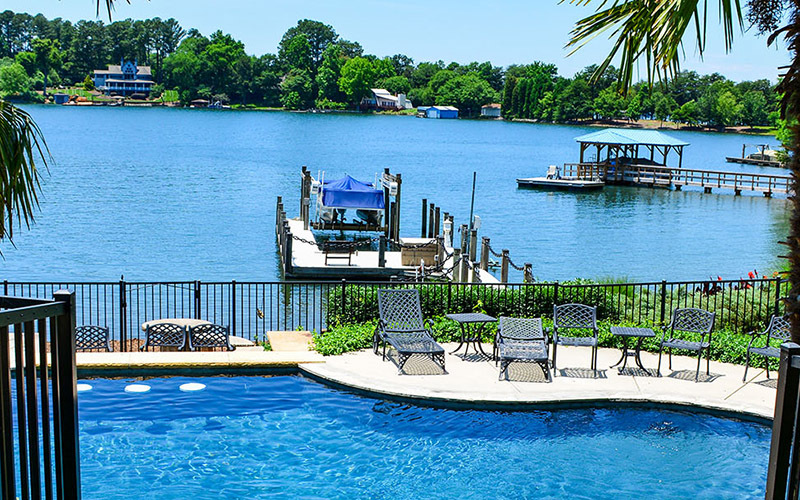 This Vacation home is like a mini resort featuring a saltwater pool, a well appointed lakeside cabana, beautifully landscaped grounds, screened-in porch, and two full kitchens. 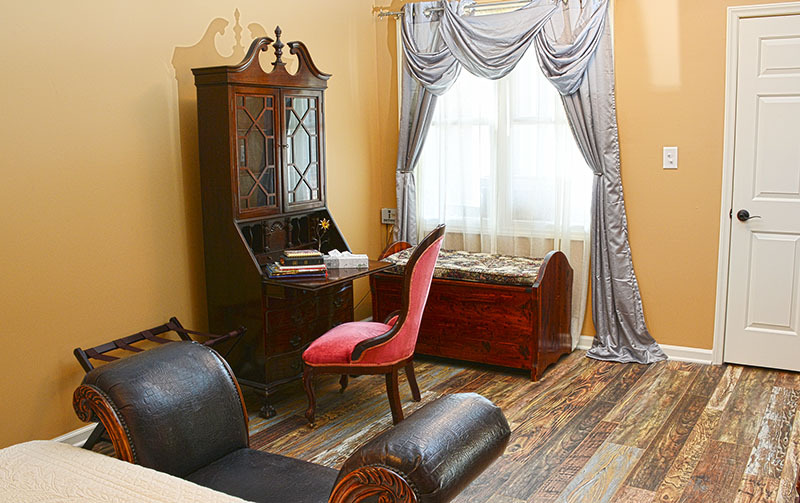 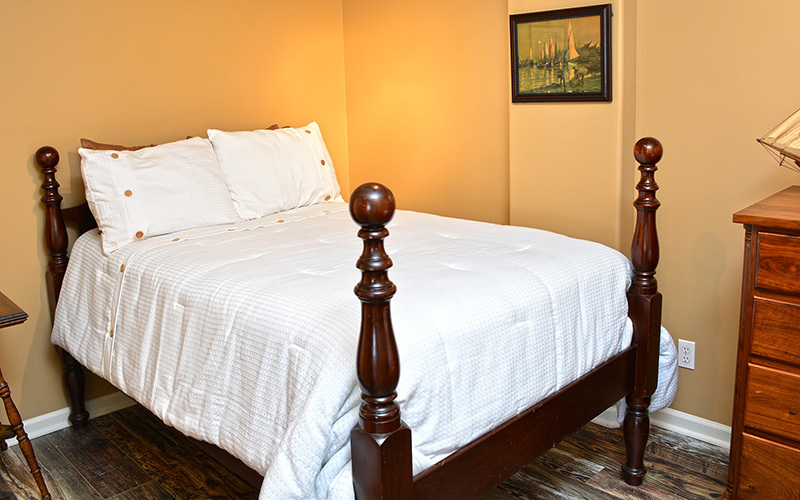 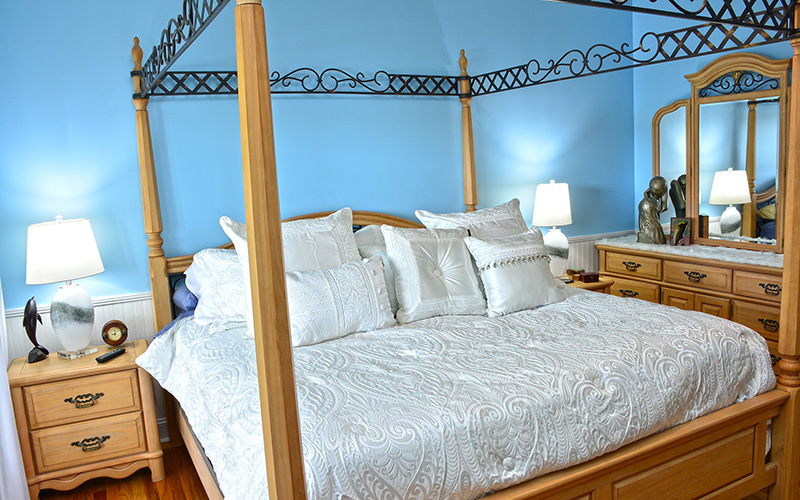 The Landing is designed to create memorable vacations! 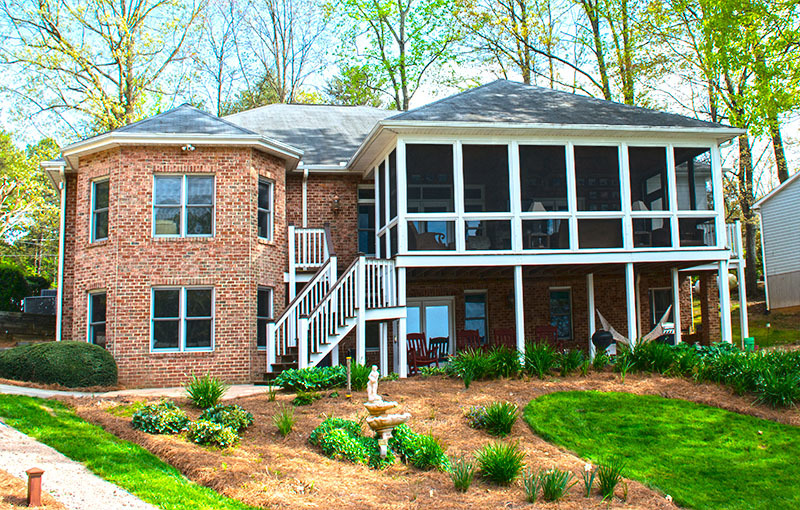 Picturesque location available for weddings! 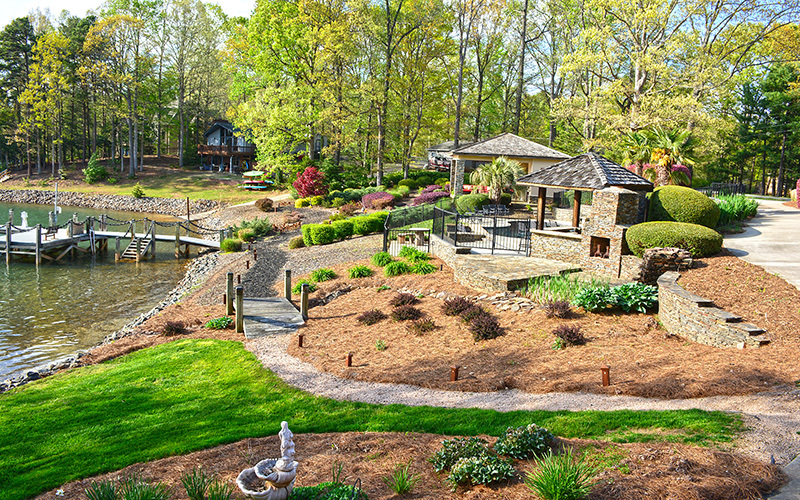 Mini resort with lakeside pool, cabana, bar and waterfall! 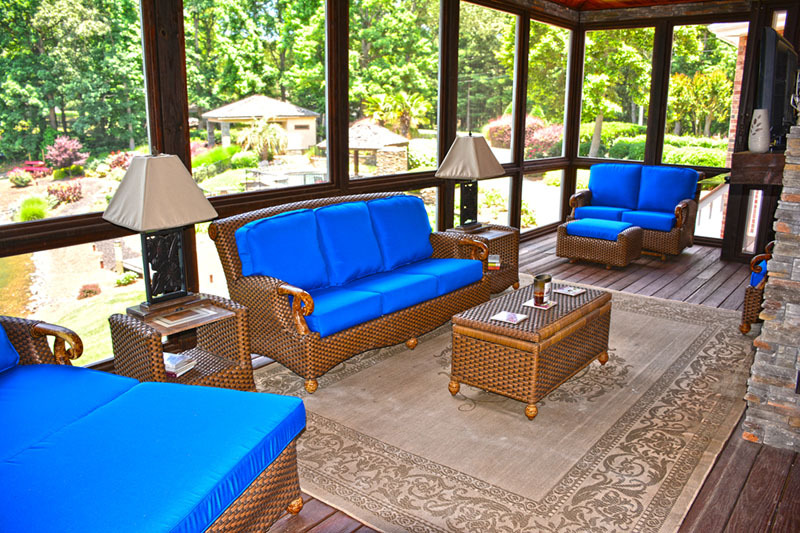 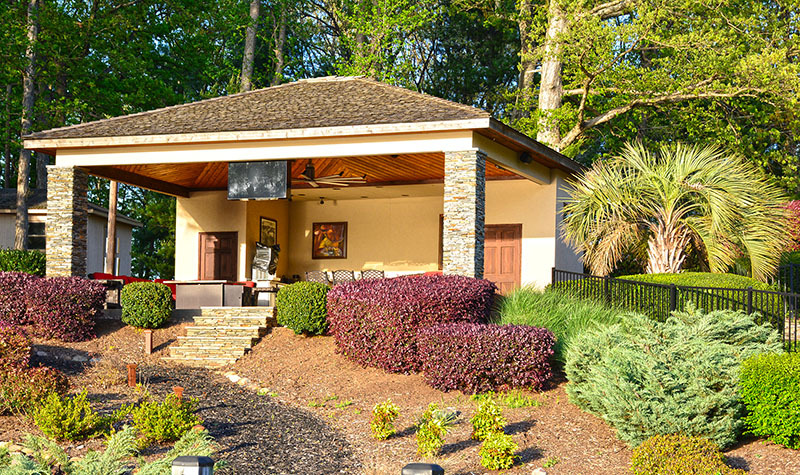 Cabana with lots of seating, TV, cooking range, ice maker, bathroom, Bluetooth sound system, and more!